We all love to feel special and want our close ones to know about what we love and what we don’t. If you happen to be the one who wants to make someone feel special with a gift and he/she is totally geeky then you have just come across the best online discussion. My best friends’ birthday is just 2 weeks away, and I was searching for a comprehensive list of nerdy gifts that can make her happy. While seeking a solution, I thought why not list them myself and post it in the CrazyEngineers forum just to see if my fellow engineering students and professionals have ever gifted someone or got something fascinating in terms of its technical quirkiness. One more thing to consider, I am not talking about the conventional gadgets like smartphones, tablets, earphones, Bluetooth devices or anything that you can come across daily but something unique, never-heard of or a little off beat stuffs. However, if you have made any of those by yourself and you care to share with us, we are all ears and as well, be considered in-kind. For now, let us just concentrate over the most sought after top 25 gadgets which make you and your pals go crazy. 1. 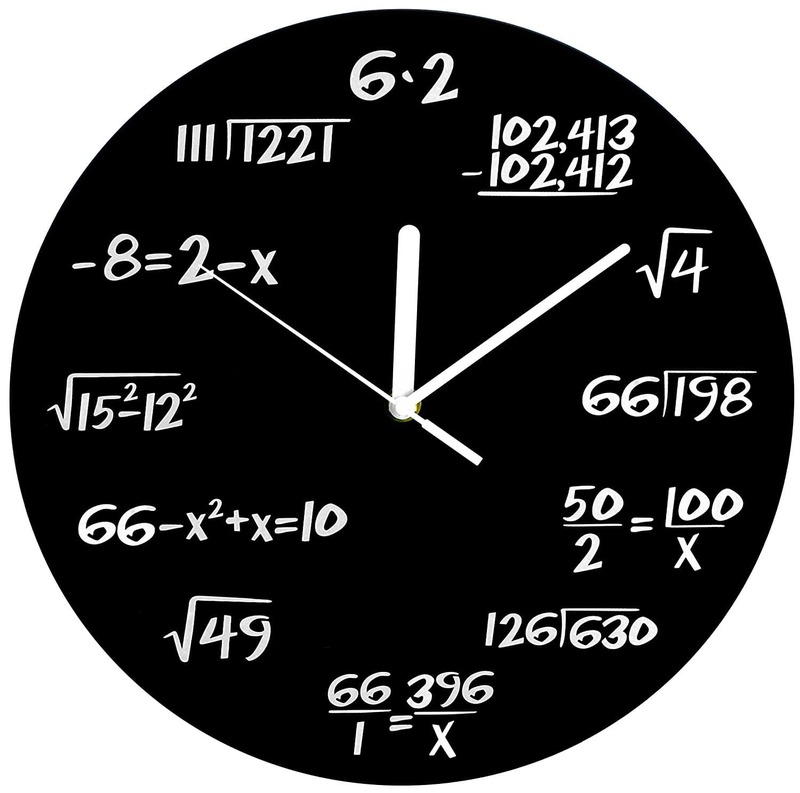 Mathematical Clock: This one is simply my favorite because, at least the first time you bring it home, you can never sleep without solving each of those 12 mathematical representations written in the place of 12 simple numbers. Interestingly, all of them will lead you to the most elegant two or one digit solution, but with difficulty. This is the beast for all mathematics haters but just too much fun, for all geeks out there. Plus, with chalk and black board texture, you might feel the urge to solve them all quickly as a class assignment. Never mind, you would be compelled by its charm to stick with it, than to just see the time and run for whatever was on your mind. 2. 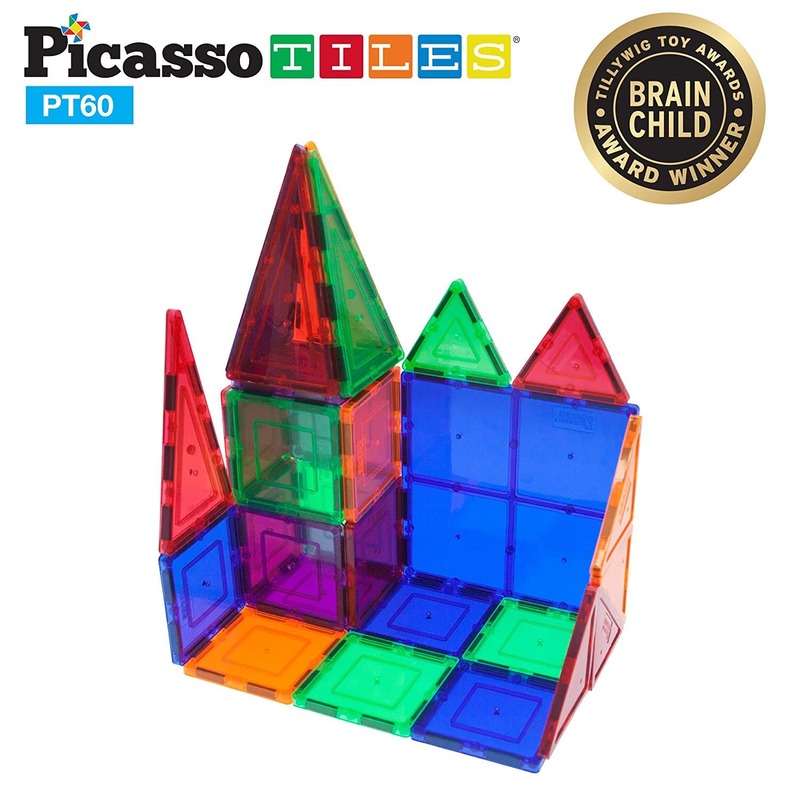 Picasso Tiles: A little different from the famous LEGO kit toolbox, it is a perfect “shape building” environment with embedded magnets. Although, the product seems very childish, it offers a stained glass artistic flavor in addition to the 2D or 3D model you intend to make with it. Also, the multipurpose Picasso Tiles is the best suited for an outreach kit. If you go to schools and teach kids about geometry, light phenomenon etc. it can be much more engaging with one set of this. 3. 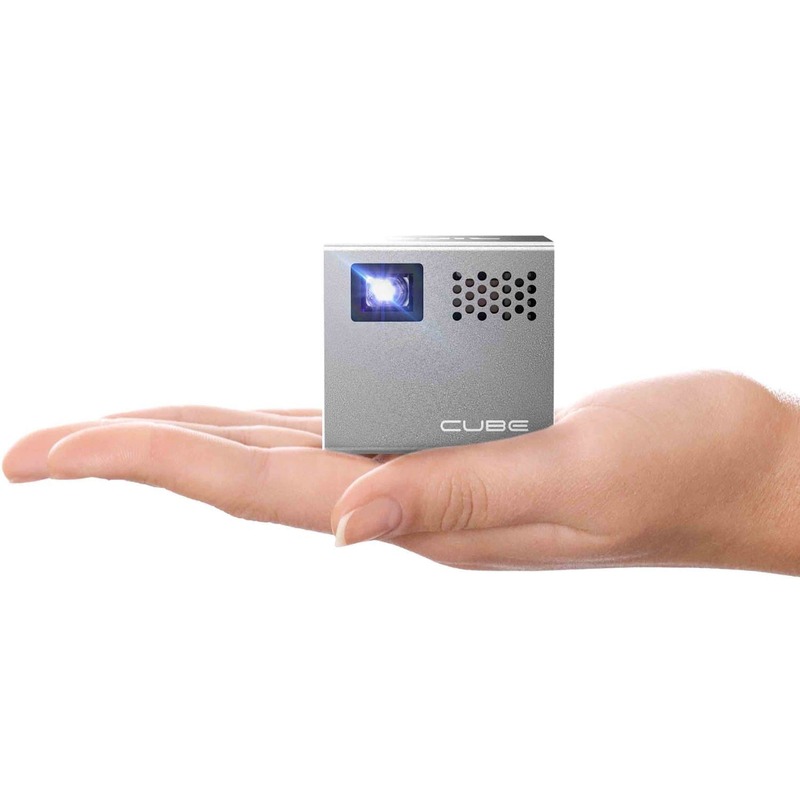 Pico LED Projector: Basically it is a mobile projector that turns your images to visible reality. Simple and portable design, this is adorable for movie buffs to all big screen lovers. This particular product here comes with in-the-box elements such as HDMI and MHL connector cables, USB charger, remote control, flexible mini tripod. With 120 inches screen extension, the 2 inch projector seems to fit your expedition bag. 4. 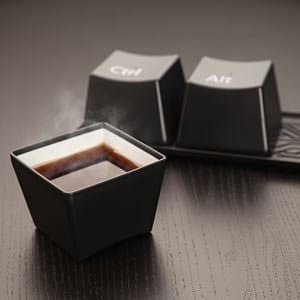 Ctrl Alt Delete Cup Set: Nothing technical except that the cup set salutes the all-time-saver trio that calls the security set up. Black exterior with white interior, it is the best for having a technophilic tea break. The set also comes with a circuit etched tray to hold the set of 3. 5. 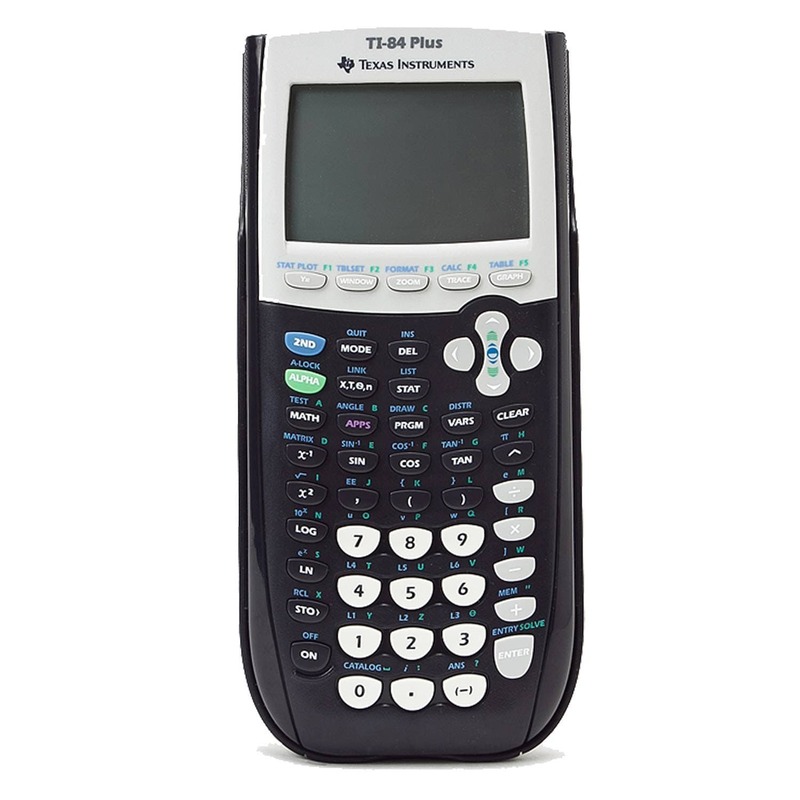 Graphing Calculator by Texas Instruments: As the name suggests, you can sketch your graph without manual effort or full simulation jargon. Plus, you can transfer your data from calculator to your computer via USB on-the-go technology. 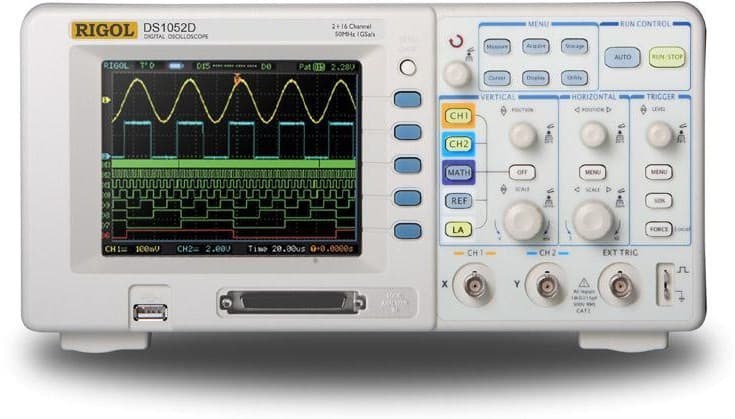 Cool stuff, as it also comes packed with a series of applications such as Catalog Help, Conic Graphing, Inequality Graphing, LearningCheck, Polynomial Root Finder and Simultaneous Equation Solver etc. 6. 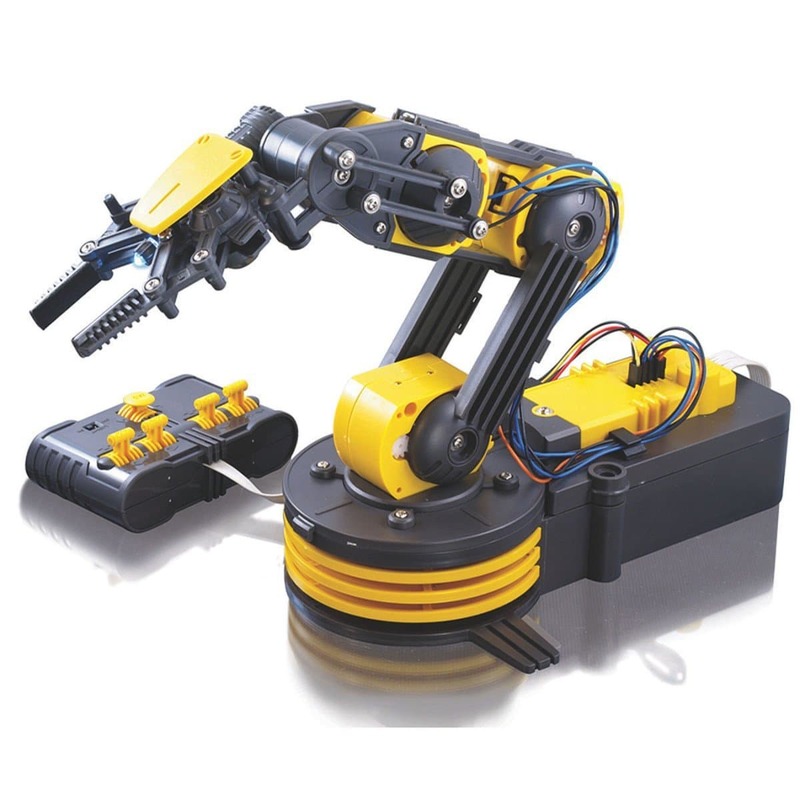 Robotic Arm: Very popular gift that gets exchanged between techies. For example, this is one of those things that Tony Stark gave his little fan for helping him in Iron Man 2. The old legendary manipulator with 120 Degree radial wrist motion, 300 Degree elbow range motion, base rotation of 270 Degree and 180 Degree base motion degree. 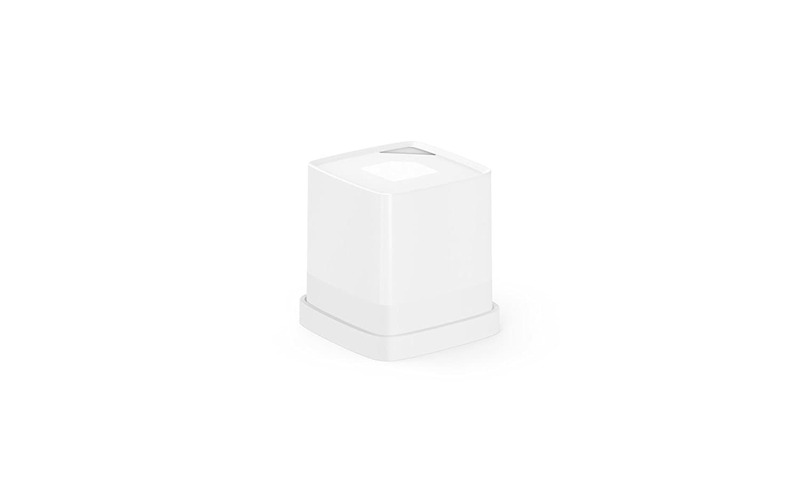 This falls under the robotics educational kit, easily possible to assemble and command it to pick up objects and place it on your directed place. 7. 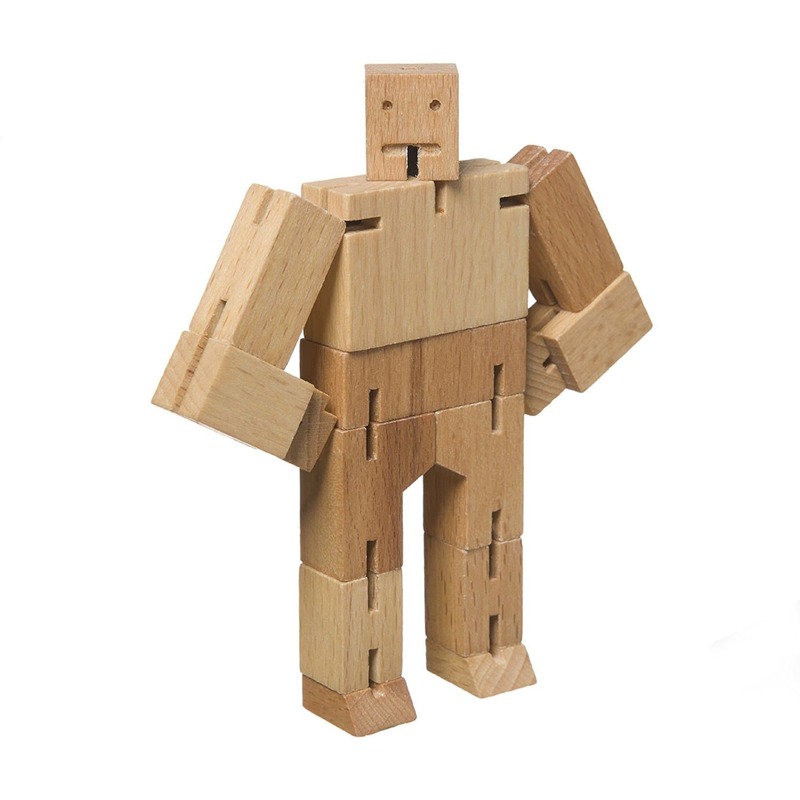 Cubebot Puzzle: You get a cube of wood blocks and you have to make a “transformer” robot out of it. Similar to puzzle blocks, you will get all the pieces placed in such a way that it mimics a cube. However, once you solve it properly, it gives you the perfect robot doll you would want. Available in multicolor variants, it is developed by an American designer named David Weeks. 8. 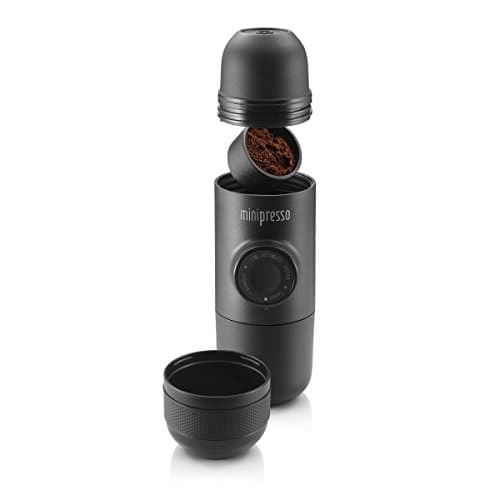 Mini Expresso Maker: The most compact of all the coffee machines, this bears the size of your regular sipper. Another quality is that, it doesn’t need electric power or battery to run and completely works as a hand operated manual machine with a semi-automatic piston. If your friend is addicted to caffeine, plus has a passion to travel the world, this will be the best to gift to make you remember with every sip she takes. 9. 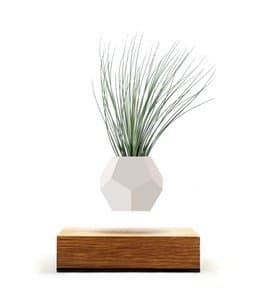 Levitating Plant: A Japanese product designed by a start-up named Hoshinchu.com came up with a magnetic levitation plant known as Air Bonsai. Consisting of a base and a plant, both are clubbed with magnets acting with equal repulsion that leaves the top part floating on air. This is a perfect technologically embraced home décor product that you can put in your study table. A similar product, Moxo, is linked below, following the same principle. 10. Color Digitiser: A fancy tool for all the designers and engineers out there, this can make your life colorful in a way you have never believed. This device is a color capturing device, that can take color inputs from any real world object ever possible. So if you go outside, and see a unique colorful appearance, then you can just tap one button of the instrument, capture the color, come home and put that color into your design kit in thousands of ways possible. Cube also comes with mobile applications with an option to integrate adobe photoshop. 12. A Tshirt! : Yes, a Tee shirt with a great quotation saluting your engineer persona might be a great gift to your friend. It’s cheap, durable and light and something you want to boast of. 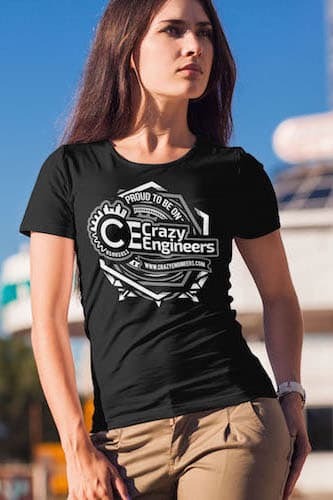 So, finally when we are talking about tees then why not go for CrazyEngineers Tshirt, suiting both the purpose and style. 13. Pocket Digital measuring string : Being trendy, the measuring tape has gone digital with an integrated calculator and laser. 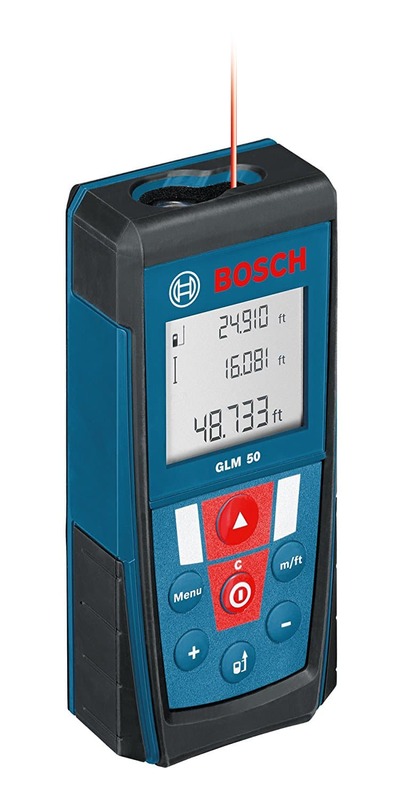 This should be way better than manual measurement tool as it saves you from checking the written measurement data from time to time and worry about its accuracy. A definite requirement, you can always consider this to be your gift item. 14. 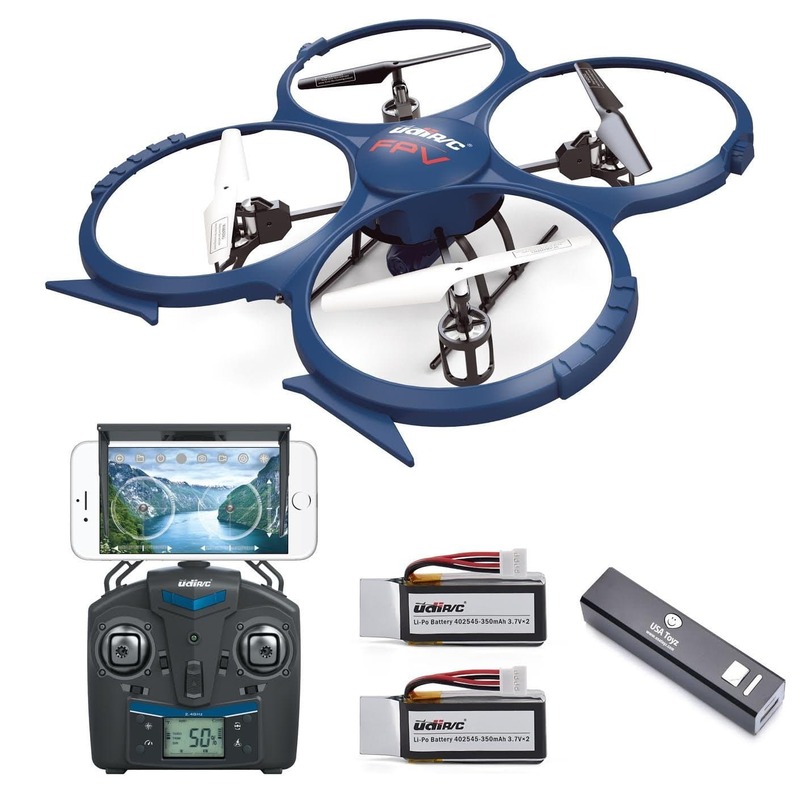 RC Quadcopter: Most famous engineering toy, a quadcopter has tens of benefits to offer. Coupled with a 2MP on-board camera and VR compatibility enjoy on-air views in real time and captured mode. Also, with return home function, call your drone back home whenever you miss it. 15. 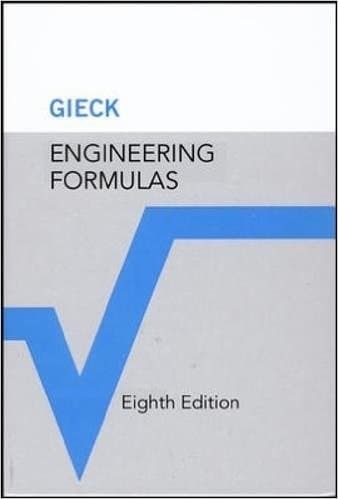 Engineering formula book: Life saver for many, this is a proper guide to always make you ready with solutions. Remember if you want to, or just forget what is there to fill you up in need. The book listed below comes filled with crucial engineering mathematics formulae with special emphasis on mechanical, production, electrical and control engineering. 16. Glow in the dark ear buds: Okay, this is funny and might not be impressive to many but all of whom are fascinated by fluorescence and “glow in the dark” stuffs will definitely fall for it. 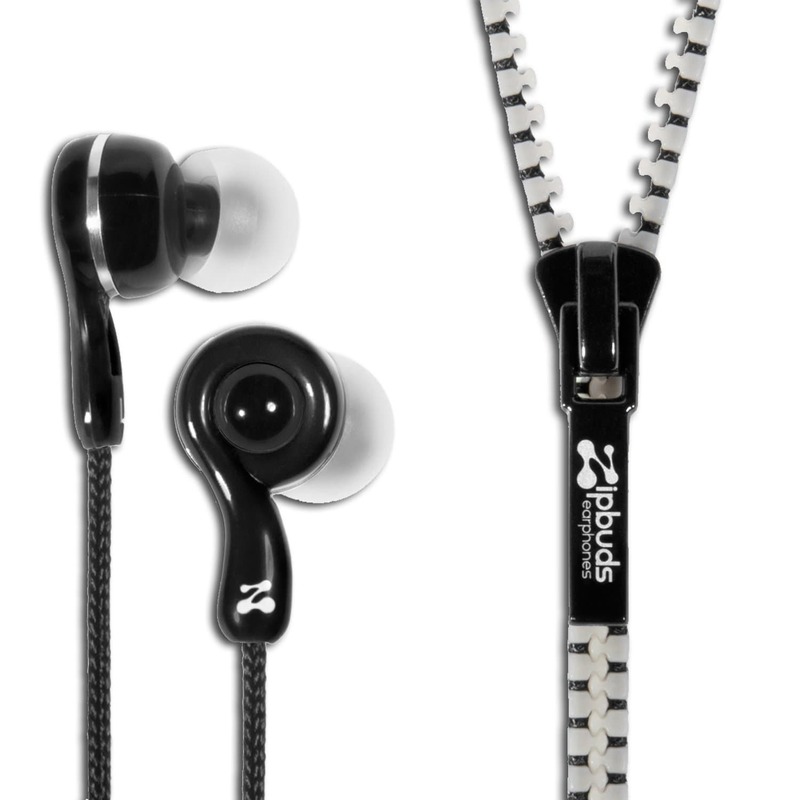 The earphone comes with a zipper to adjust the buds according to your requirement and comfort. Giving a decent sound quality and a 3.5 mm jack, it could be your next small gift item to your special buddy. 17. VR Headset: It’s definitely in the fashion and popular among geek societies. 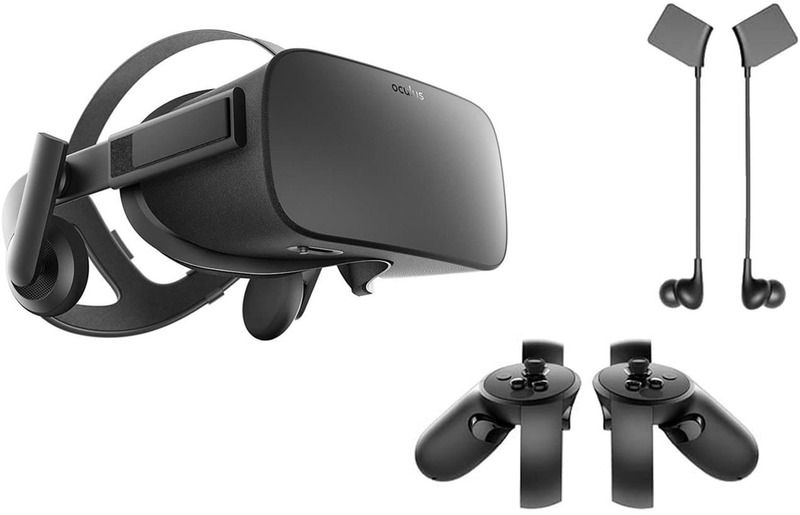 No need for an intro, it’s the Oculus Rift VR headset. You can go with any other and make your one like Google Cardboards VR kit. See the virtual world to be alive in front of your eyes and get lost in the paranoia. Pricey if you go for the one below, making your own can give it a personal touch and save you from a pocket theft. Thumbs up for it always. 18. 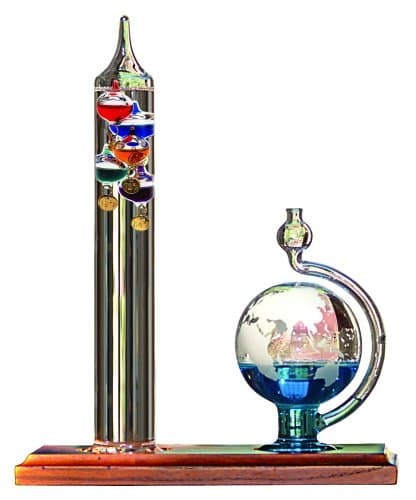 Galileo thermometer with Glass globe barometer: This one seems to be an interesting addition to our list as it not only makes you cool, but also helps you learn physics or at least to get a knack for it. Inspired by Galileo’s instrument and principles of buoyancy and air pressure, the desk set up can let you check on temperature and weather. 19. Laser Chess – Khet game: This is a laser chess game i.e. a board game with some twisted rules to make a laser etched path with the 28 pieces of figurines given. An Egyptian board as a platform with batteries and instruction manual, this can simply occupy any beautiful mind, asking for a good brain storming session. 20. 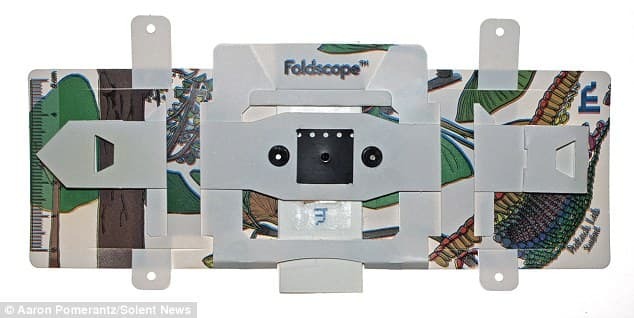 Foldscope: One of the things that I would highly recommend to everybody to play with is the Foldscope. It’s a $1 paper based microscope and integrable with your mobile phone. 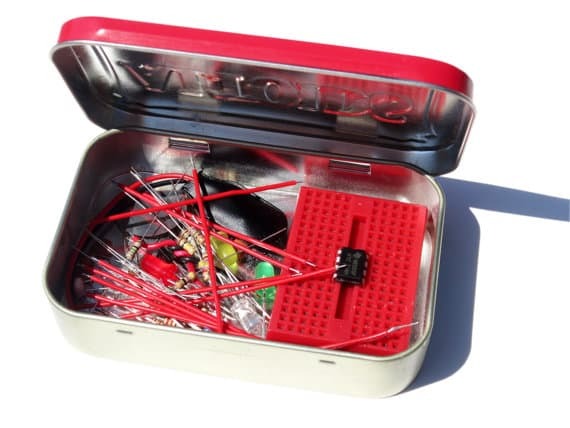 Currently the kit is in experimental phase and you can always ask for a free kit to beta test. The things you get to see, the tiny zoo, trust me, will be the most interesting thing you could ever see with your eyes. 21. 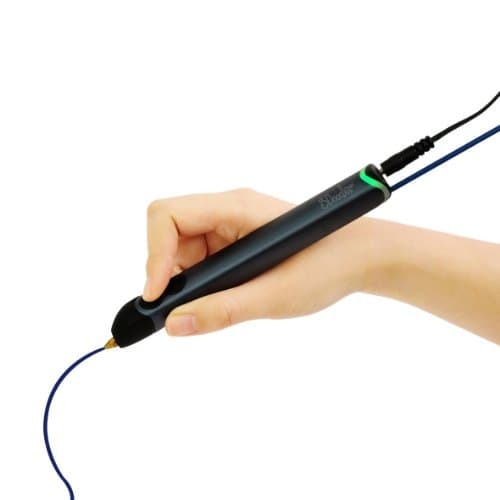 3D printing pen: Save lakhs of money and get yourself or your best friend a 3D printing pen tool that can make your 3D models. For projects, or may be just for fun you can absolutely make things with the free filaments that you get with the pen or can buy a new set of them available online. This pen works like a glue gun but yeah with colorful filaments. So what are you waiting for? Grab this one and gift him. 22. 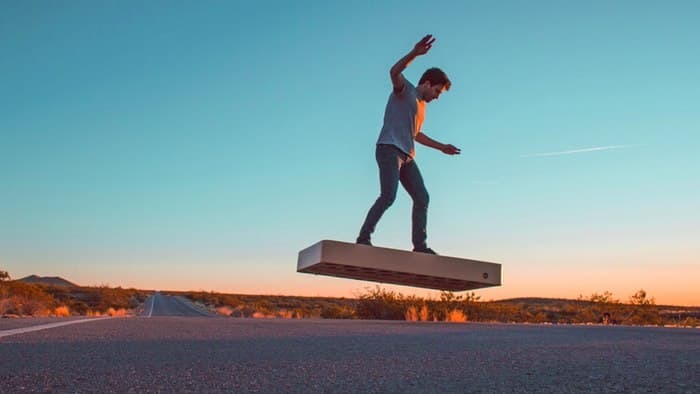 Hoverboard: The levitating skate board or hoverboard that allows one to stay afloat, at least 6 meter above the ground. Not all of them do this magic, but some can. Different manufactures keep a similar line of instrumental set up but pack some unique features and depending on that the price also varies. A similar product is also available in India with limited specification (Link: Amazon.in). 23. HP Sprocket Photo Printer: Looks like an external hard drive isn’t it? Sorry to amaze you but this is actually a very efficient mobile printer, which means you can carry it along with you. 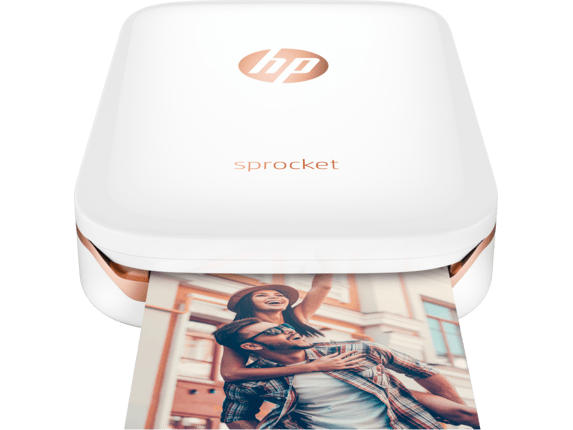 Print directly from your phone with HP Sprocket applications or use Bluetooth connectivity, you will readily have a hard copy of your good times. 24. 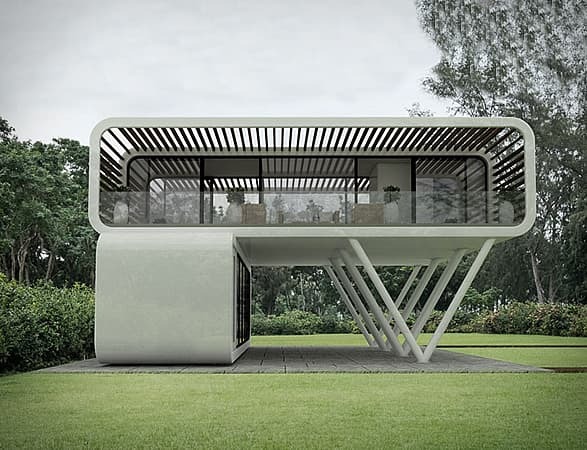 Coodo: Heard about mobile living? If not then its time see and switch. You might consider this the future technology and gift one to our colleagues or someone special who deserves own space. It’s basically a modular unit which can be connected block by block and can be made to a big house or you can just use one block, as per your choice. They leave almost no mark on the environment and are portable from one place to the other. My list ends here and our discussion shall start. I am still looking for more and more creepy things that make us love our progress. I have left so many such as, smart glass, smart pen, AI bots and assistants and much more. That’s why, we need more of these and need this list to be updated. Keep us suggesting stuffs! This is an amazing list, @Debasmita Banerjee You've done some really cool research. I remember starting similar threads a few years back and we really needed someone to make a list. This is great. I have a few more products in mind. Will list them here in a while. Meanwhile, I appeal everyone to put a few gifting items they like to gift engineers in replies below. Thats really Cool @DEBASMITA Baneerjee. its awesome.